“Dial M for Murdoch uncovers the inner workings of one of the most powerful companies in the world: how it came to exert a poisonous, secretive influence on public life in Britain; how it has used its huge power to bully, intimidate, and cover up; and how its exposure has changed the way we look at our politicians, our police service, and our press. Rupert Murdoch’s newspapers had been hacking phones and casually destroying people’s lives for years, but it was only after a seemingly trivial report in 2005 about Prince William’s knee that detectives stumbled on a criminal conspiracy. A five-year cover-up then concealed and muddied the truth. 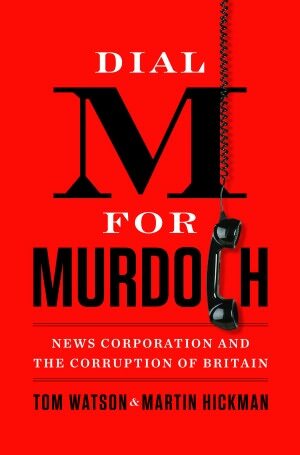 Dial M for Murdoch gives the first comprehensive account of the extraordinary lengths to which the Murdoch-controlled New Corporation went to “put the problem in a box” (in James Murdoch’s words), and of how its efforts to maintain and extend its power were aided by its political and police friends, and how it was finally exposed. The book details the smears and threats against politicians, journalists, and lawyers. It reveals the existence of brave insiders who pointed those pursuing the investigation toward pieces of secret information that cracked open the case.